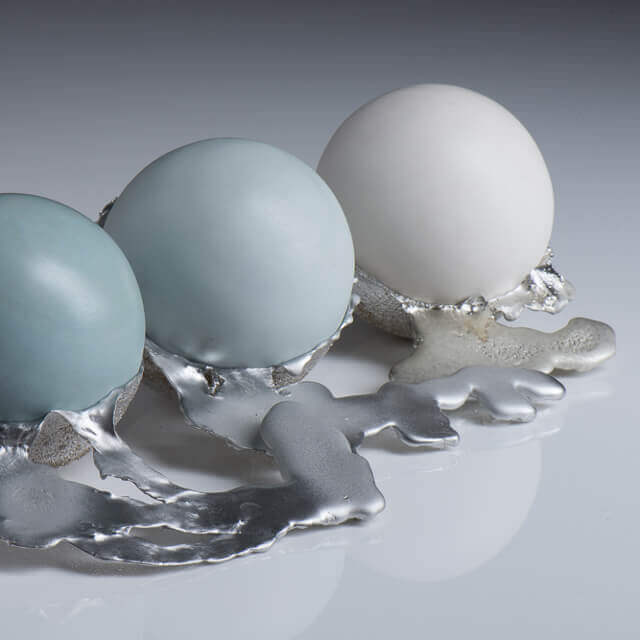 3 beautifully elegant, blue to white porcelain balls surrounded in calming, flowing pewter. 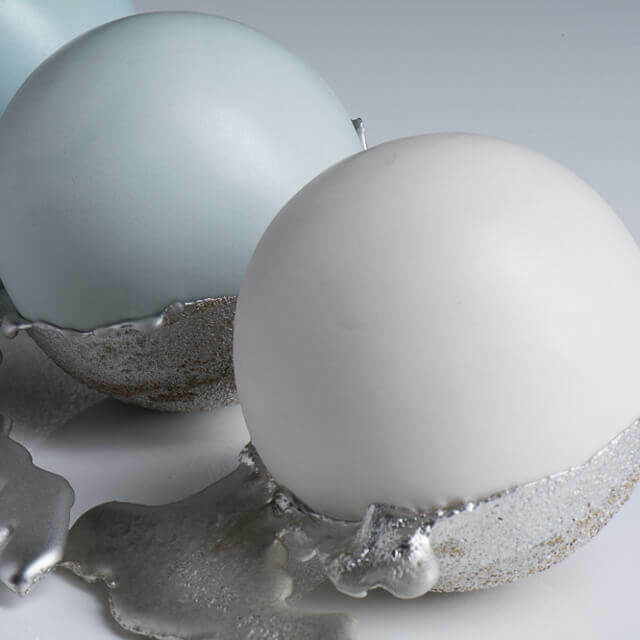 Inspired by clean, neat and modern forms and shapes, Bryony produces pieces of work varying from organic to geometric shapes, using each element of other materials to enhance the larger ceramic form as well as introducing colour and texture in different areas. Pushing each of the materials to their full extent, they are sometimes deceiving to the eye with their innovative finish. 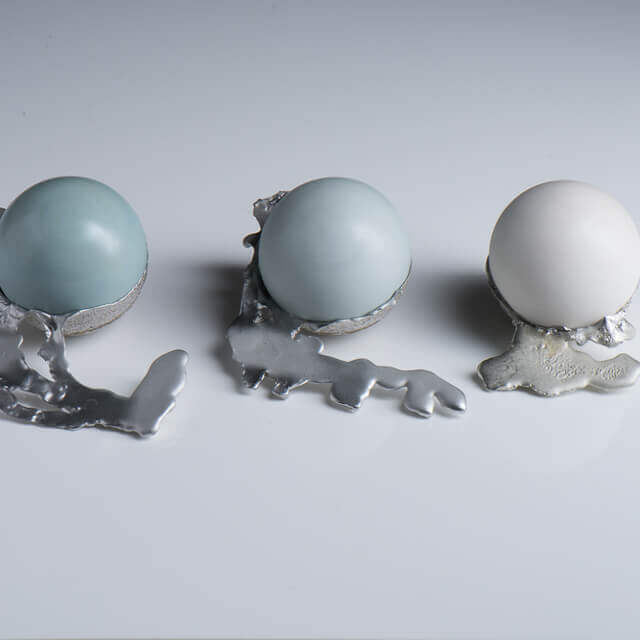 Techniques such as turning, sand casting and slip casting heavily influences her forms and objects. I first encountered clay at Art in Clay at Hatfield house when I was 10 years old. I had the chance to throw a pot and make a clay animal. I then went on to make more things with my mum in her studio. 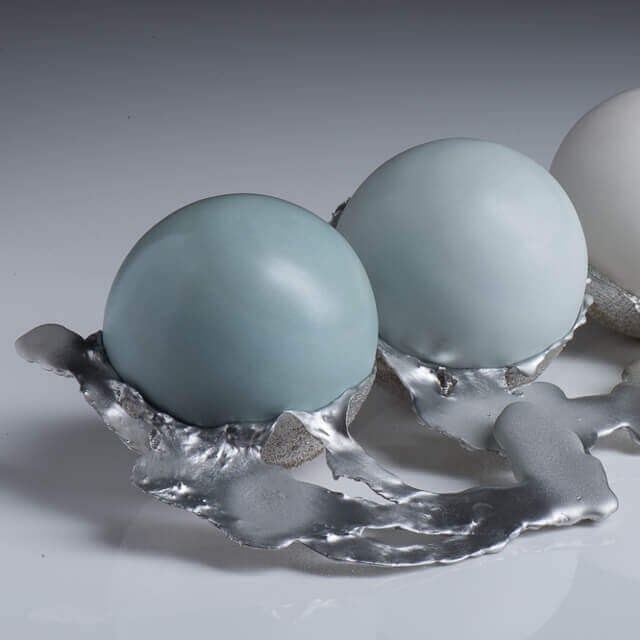 Having left school after Sixth Form after studying triple BTEC Art, I went on to study a foundation in art and design at Oaklands College where my love of ceramics continued to develop. 12 years down the line from my first experience with clay, I have now graduated with a degree in 3D Design Specialising in ceramics. I have both exhibited and sold work at my degree show 'Show and Tell', New designers 2016 and the One Year On showcase at New Designers in 2017 in London. I like to start with geometric shapes and through experimentation with both materials and techniques, turn it into a visually pleasing object. My work has always formed through practising a technique; usually turning on the wood or plaster lathe. 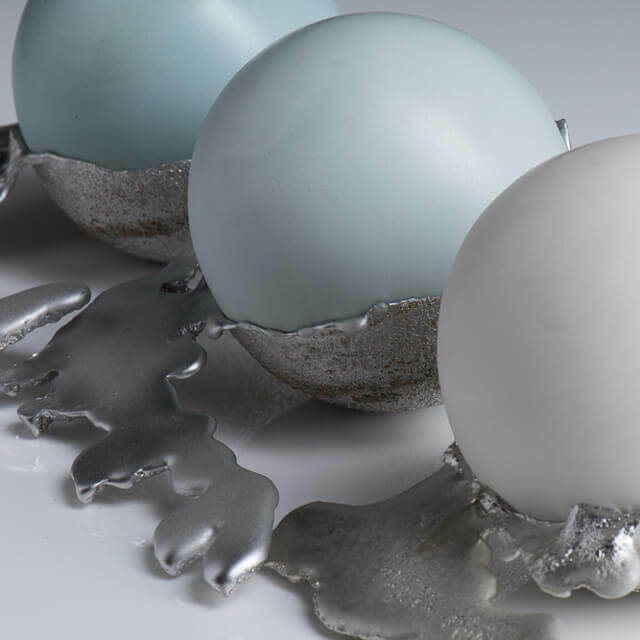 I then continued with my love of techniques by creating moulds to slip-cast the shapes and working on a feature of unusual material such as paper or pewter to add to the ceramic bodies.